Social media is always evolving and ever-changing. There's always a new platform popping up where you can connect with people. Enter Periscope – the new kid on the block. Periscope is a live-broadcasting app that allows you to interact and engage with people in real time. 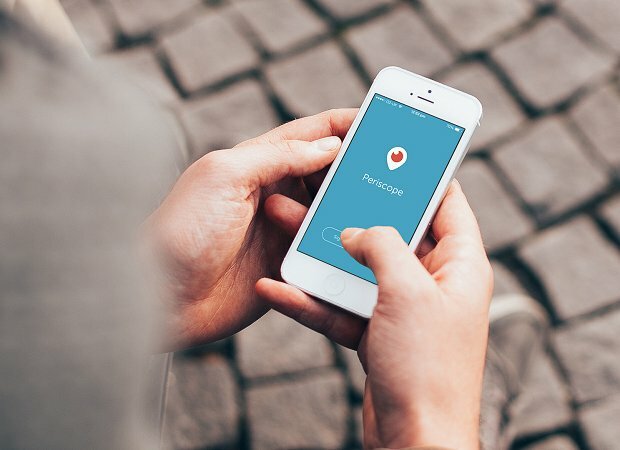 While you may be hesitant to add yet another social network to your arsenal, Periscope offers you a unique platform to connect with your fans while you're on the go. Here are four ideas to help you get started with Periscope. Give your fans a preview of your new music by having virtual listening parties on Periscope. Fans can give you feedback by leaving comments and hearts during your broadcast. Previewing your music on Periscope can also build demand for your next project. The more anticipation you can build, the more likely it will be a success! Broadcast a portion of your studio sessions or show rehearsals. Fans love to see you in creative mode, and it gives them a glimpse into your world. Invite them into your process. Share your journey and your hard work with them. Doing a really big show in one location, but want to give all your fans a chance to see the show? Broadcast the show on Periscope. Doing a broadcast gives your fans the ability to see the show and increase exposure for your music. To create even more awareness, encourage your fans to share your broadcasts on their social networks and invite their friends to join in. Give your fans updates by doing regular short broadcasts on Periscope. Pick a day of the week where you do a short broadcast and let your fans know what you have going on. Remember, you don't have to be on every new social network. Have a strong presence on the sites and apps where your target audience is most likely to be located, and consistently engage with them there.